Review by AllTheBestFights.com: 2019-03-30, some good exchanges between Angel Acosta and Ganigan Lopez but it is not enough to get three stars: it gets two. The Wbo light-Flw champion Angel Acosta entered this fight with a professional boxing record of 19-1-0 (19 KOs=100%) and he is ranked as the No.7 light flyweight in the world. ‘Tito’ Acosta suffered his only loss when he faced Kosei Tanaka in 2017 (Tanaka vs Acosta); after this bout he has won three fights beating Carlos Buitrago (Angel Acosta vs Carlos Buitrago) and Abraham Rodriguez in 2018 (Angel Acosta vs Abraham Rodriguez). His opponent, the former Wbc light-Flw champion Ganigan Lopez, has an official record of 35-8-0 (19 knockouts) and he entered as the No.5 in the same weight class. He fought twice last year losing to current #1 light-Flw Ken Shiro (Ken Shiro vs Ganigan Lopez II) and defeating Ricardo Rodriguez (Ganigan Lopez vs Ricardo Rodriguez). Acosta vs Lopez is valid for the WBO World light flyweight title (Acosta’s third defense); undercard of Ryan Garcia vs Jose Lopez. Watch the video and rate this fight! Review by AllTheBestFights.com: 2017-05-20, fight not particularly good between Ganigan Lopez and Ken Shiro: it gets two stars. The Wbc light-Flw champion Ganigan Lopez entered this fight with a pro boxing record of 28-6-0 (17 knockouts) and he is ranked as the No.1 light flyweight in the world. He lost to Pedro Guevara in 2015 (=Guevara vs Lopez) but then he has won over Juan Luis Lopez (=Lopez vs Lopez), Yu Kimura (=Kimura vs Lopez) and Jonathan Taconing (=Lopez vs Taconing). His opponent, the undefeated Ken Shiro, has a perfect record of 9-0-0 (5 knockouts) and he entered as the No.6 in the same weight class. He fought three times last year beating Atsushi Kakutani, Toshimasa Ouchi and Lester Abutan. 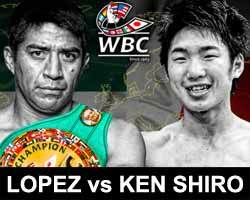 Ken Shiro vs Ganigan Lopez is valid for the WBC World light flyweight title (Lopez’s second defense – they also faced each other a second time on May 25, 2018 Ken Shiro vs Ganigan Lopez 2); undercard of Hassan N’Dam vs Ryota Murata. Watch the video and rate this fight! Review by AllTheBestFights.com: 2016-07-02, pretty good fight between Ganigan Lopez and Jonathan Taconing: it gets three stars. The Wbc light-Flw champion Ganigan Lopez entered this fight with a professional boxing record of 27-6-0 (17 knockouts) and he is ranked as the No.2 light flyweight in the world (currently the #1 in this division is Donnie Nietes). He lost to Pedro Guevara in 2015 (=Guevara vs Lopez) but then he has won over Juan Luis Lopez (=Lopez vs Lopez) and Yu Kimura (=Kimura vs Lopez). His opponent, Jonathan Taconing, has an official record of 22-2-1 (18 KOs=82%) and he entered as the No.9 in the same weight class. He suffered his last loss when he faced Suriyan Satorn in 2012, since then he has collected nine consecutive victories defeating Ramon Garcia Hirales (=Garcia Hirales vs Taconing) and Jomar Fajardo in 2015. 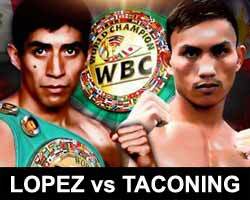 ‘El Maravilla’ Lopez vs Taconing is valid for the WBC World light flyweight title (Lopez’s first defense). Watch the video and rate this fight! Review by AllTheBestFights.com: 2015-10-30, pretty good fight between Ganigan Lopez and Juan Lopez: it gets three stars. 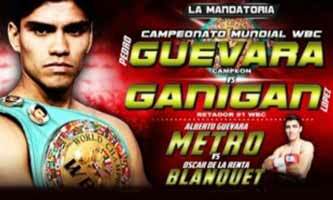 Ganigan Lopez entered this fight with a professional boxing record of 25-6-0 (16 knockouts) and he is ranked as the No.4 light flyweight in the world but he comes off the loss against #1 Pedro Guevara (=Guevara vs Lopez). 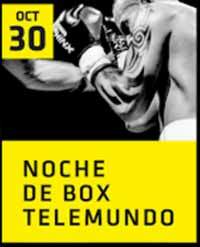 His opponent, Juan Luis Lopez, has an official record of 13-3-0 (7 knockouts) but he is not ranked as he hasn’t fought since May 27, 2014 when he defeated German Garao. ‘El Maravilla’ Lopez vs Lopez is valid for the interim WBC Latino flyweight title. Watch the video and rate this fight! Review by AllTheBestFights.com: 2015-07-04, disappointing fight between Pedro Guevara and Ganigan Lopez: it gets two stars. Pedro Guevara entered this fight with a professional boxing record of 25-1-1 (17 knockouts) and he is ranked as the No.1 light flyweight in the world. He suffered his only loss in 2012 when he faced John Riel Casimero (via split decision, Casimero vs Guevara), since then he has collected seven consecutive victories winning the vacant Wbc title last year, against Akira Yaegashi (=Yaegashi vs Guevara), and defending it once in 2015 with Richard Claveras (=Guevara vs Claveras). His opponent, Ganigan Lopez, has an official record of 25-5-0 (16 knockouts) and he entered as the No.5 in the same weight class. He lost in 2012 as well, against Denver Cuello, and then he has won five bouts beating Mario Rodriguez (=Lopez vs Rodriguez) and Genaro Rios in 2014. 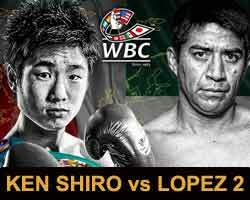 ‘Jibran’ Guevara vs Lopez is valid for the WBC World light flyweight title (Guevara’s second defense). Watch the video and rate this fight! Review: 2014-01-04, fight not particularly good between Ganigan Lopez and Mario Rodriguez: it gets two stars. Ganigan Lopez (23-5-0, 15 KOs) entered as the No.5 minimumweight in the world while Mario Rodriguez (16-8-4, 11 KOs) entered as the No.9 light flyweight. Lopez vs Rodriguez is valid for the vacant WBC Continental Americas light flyweight title. Watch the video! 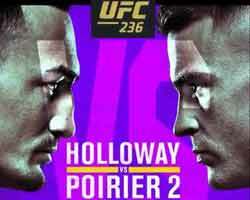 Review: 2013-08-24, fight not particularly exciting between Ganigan Lopez and Mateo Handig: it gets two stars. Ganigan Lopez (22-5-0, 15 KOs) entered as the No.9 minimumweight in the world while Mateo Handig (13-5-0, 7 KOs) entered as the No.13. Lopez vs Handig is valid for the vacant WBC United States (USNBC) minimumweight title. Watch the video!